There are many Titans introduced throughout Shingeki no Kyojin (Attack on Titan), but no one has made more of an impression than the Armored Titan. Read on to learn more about this armored threat and the grim reminder that he served humanity! In Shingeki no Kyojin (Attack on Titan), most of humanity has been devoured by man-eating giants. What's left of the human race has retreated behind towering walls in a last-ditch effort for survival. For over 100 years, those walls have kept them safe. Perhaps that was long enough to lull them into a false sense of complacency. As long as humans stay inside their walled city, they'll remain safe, right? In the year 845, humanity received a grim reminder of their situation. The walls that had kept them so safe for so long finally failed. 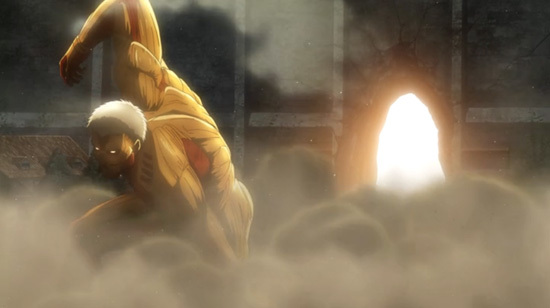 Thanks to the coordinated attack of the Colossal Titan and the Armored Titan, the walls were breached and the outermost wall was ultimately lost to the Titans. With compared to his partner, the Colossal Titan, the Armored Titan may look small, but this couldn't be further from the truth. 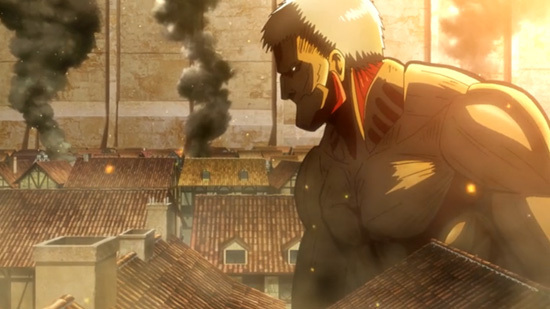 In fact, the Armored Titan is 15 meters tall! Based on size alone, he already poses a significant threat under normal circumstances. But what makes the Armored Titan dangerous isn't his size. 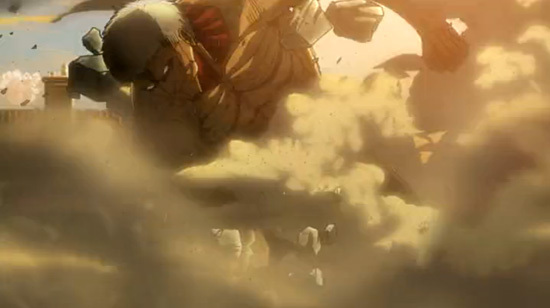 It's the fact that unlike other Titans, he is covered with hardened skin. This hardened skin takes the form of plates that resemble armor and serve as the basis for his name. As the name suggests, his armored skin makes him practically invulnerable. But like any set of armor, he does have a few chinks that expose him to attack. The trick, however, is discovering where they are. Who wants to take that risk? Attack on Titan opens with the fall of Shiganshina, the hometown of main characters Eren Yeager, Mikasa Ackerman, and Armin Arlert. After the Colossal Titan kicked through the outer wall, the Armored Titan barreled through and took out the military's defenses. After that, he continued through Shiganshina until he reached the inner gate and destroyed it. It's his actions in particular that led to Wall Maria falling to the Titans. While very little has been heard of the Armored Titan since that fateful day in Shiganshina, his memory has not been forgotten. Along with the Colossal Titan, the military fears his return. No matter how much you prepare, nothing can withstand his focused attack. After all, what can stop his impenetrable armor? 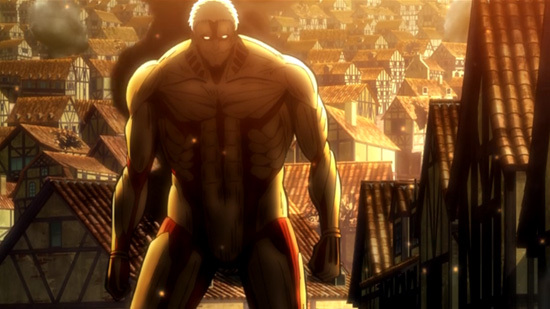 Without a doubt, the Armored Titan made an impression at the beginning of Attack on Titan. Considering the significance of his role in setting things into motion, he's bound to make a reappearance. And no doubt, it will be as shocking as his debut! When we think of magical girl anime, we think of cute high school girls worrying about schoolwork and boys in the day and transforming into heroes at night. But not all magical girls' lives are so carefree. So get ready to explore the magical girl anime Sailor Moon and Madoka Magica more closely! Post-apocalyptic action, humanity under attack, mystery and intrigue. Here are some more anime like Attack on Titan. The circus is nothing without its performers. Each one brings a unique aura to the show to make your trip to the carnival a memorable one. Let's see what color each character brings to Karneval! Meet the Claymores, the Awakened Beings, and the Men! Claymore is a popular anime and manga series, with a large cast of fascinating characters, which can be divided into three main categories: the Claymores, the Awakened Beings, and the Men. Read on to learn more about these amazing characters!